Gorgeous 1946 Ford Super Deluxe. ZZ4 crate motor w/ forged pistons and many other upgrades. Awesome build quality at an awesome price! 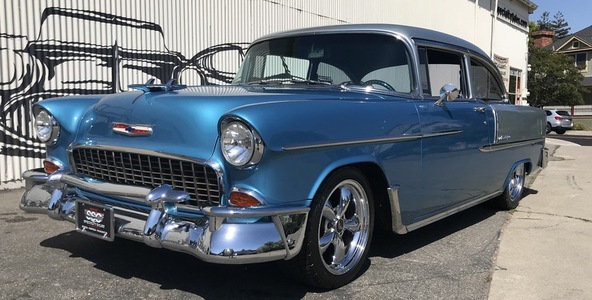 1955 Chevy Bel Air equipped w/ 5.7 liter vortec V8 fuel injection (crate), 350 turbo Automatic transmission, 308 posi-traction, power everything, cold AC & so much more! 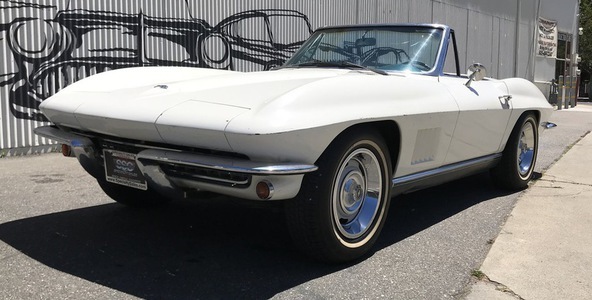 1 owner, all original, has been in California since 1968. 327 4 speed, white with blue interior. 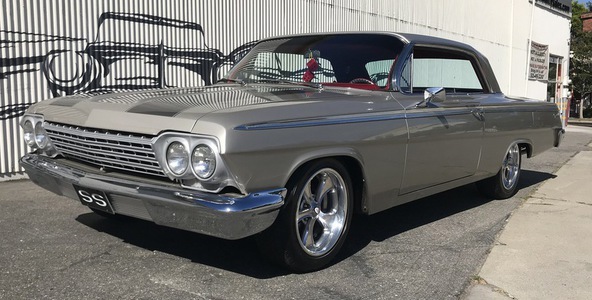 1962 Chevrolet Impala SS. 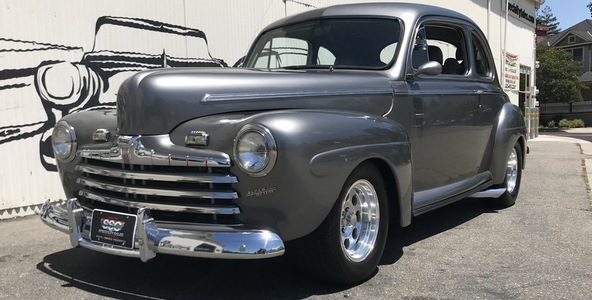 ZZ4 V-8 crate motor, Powerglide auto trans, nicely modernized w/ tons of extras! Pmt Estimate: $304 / mo. 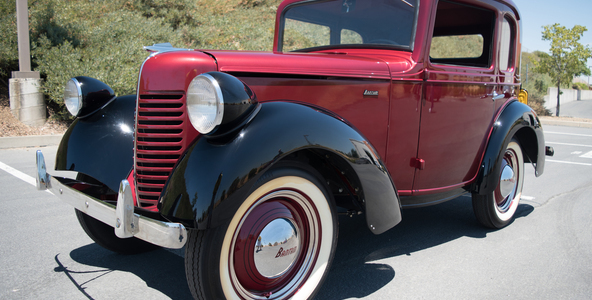 Rare & Desirable 1940 American Bantam 65 Standard. 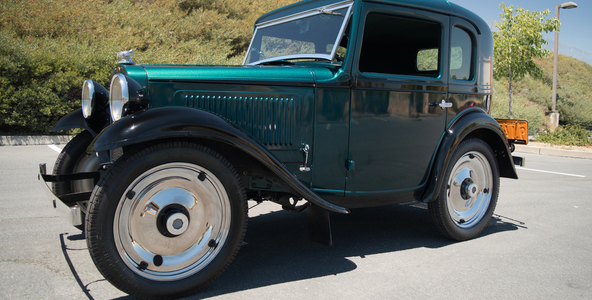 Factory drivetrain, completely restored in show quality condition. 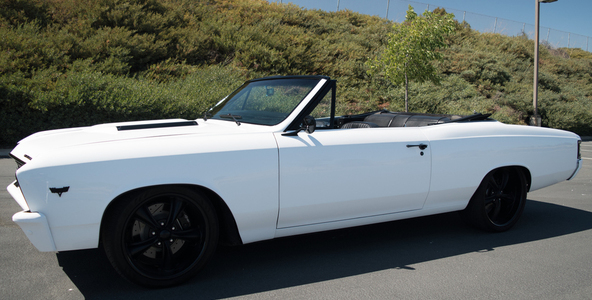 1967 Chevelle Convertible Big Block 454 Pro Touring Build. 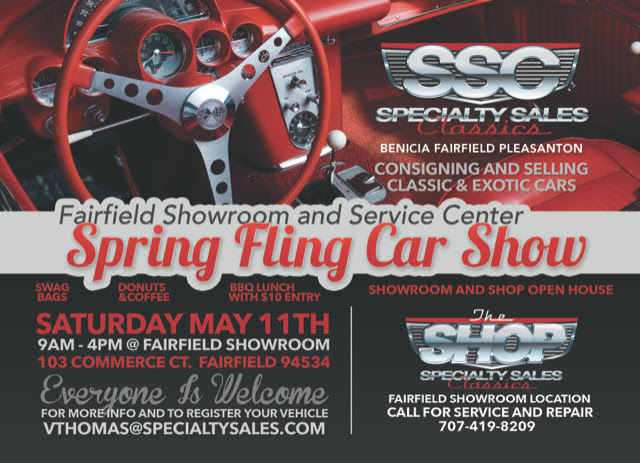 Extensive performance upgrades with sizzling curb appeal! 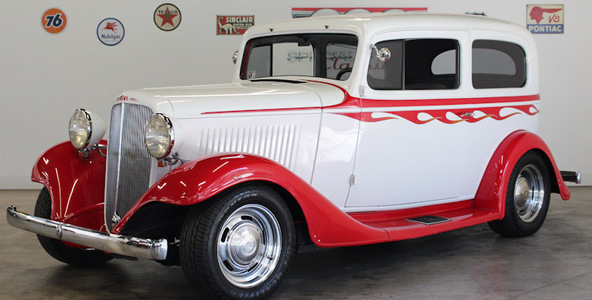 Stunning 1933 Chevrolet AC 2 Door Sedan with Chevy 350 V-8. This one is ALL steel including the running boards. Pmt Estimate: $640 / mo. 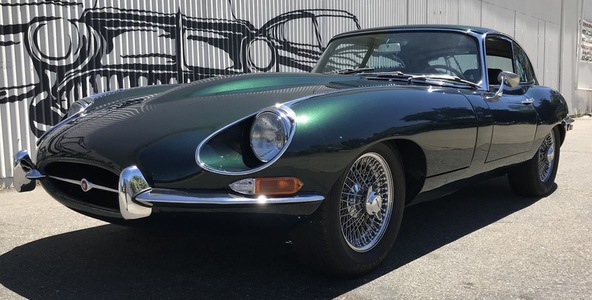 Beautiful Jauguar XKE II, 4.2 Liter straight 6 motor. very nice paint, chrome and interior with good re-spray exterior paint. Museum quality 1934 American Austin Apr-75 Standard Coupe. Factory 747cc motor and 3-speed manual, fully restored and gorgeous in person! Pmt Estimate: $362 / mo. 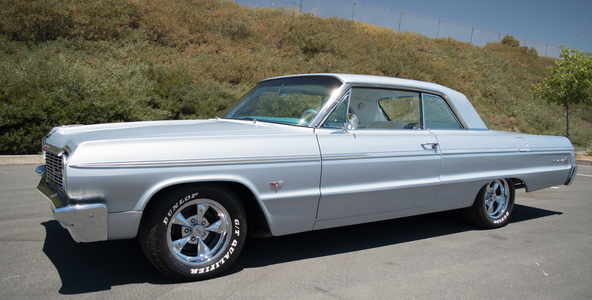 High End 1964 Chevrolet Impala Super Sport. 350 V-8, auto trans, awesome body lines and serious performance!